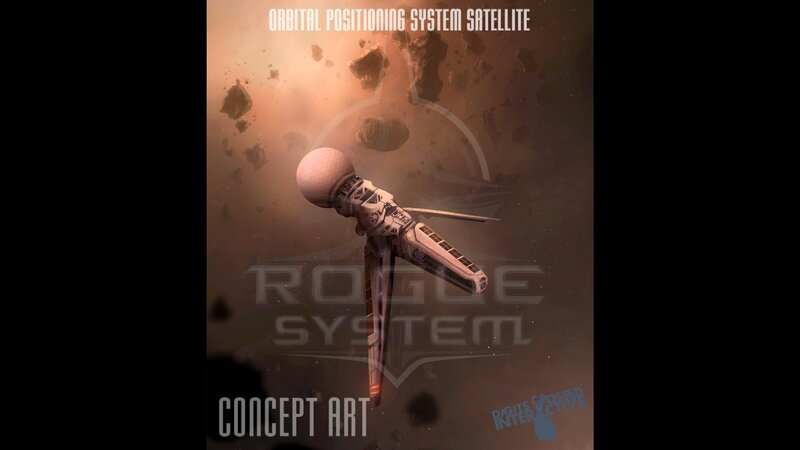 Rogue System’s Core Module (CM) will be a complete campaign-driven sim on its own. It utilizes both dynamic as well as scripted missions to allow for greater replayability while telling an intriguing story. Later, Extension Modules (EM) will add even more gameplay. The first EM will be the addition of open-ended trading and exploring. 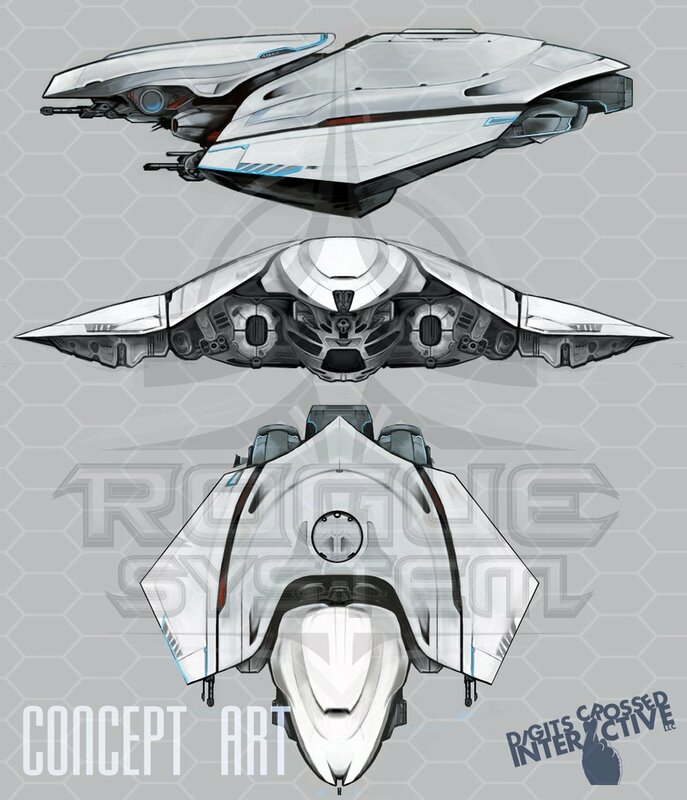 Other modules will include enhanced FPS gameplay with breaching actions, multi-player, and the ability for multi-crewed captial ship command. Single-Player Campaign: Dynamic missions based on current military and civilian assets. Performance alters key scripted missions that advance the story. 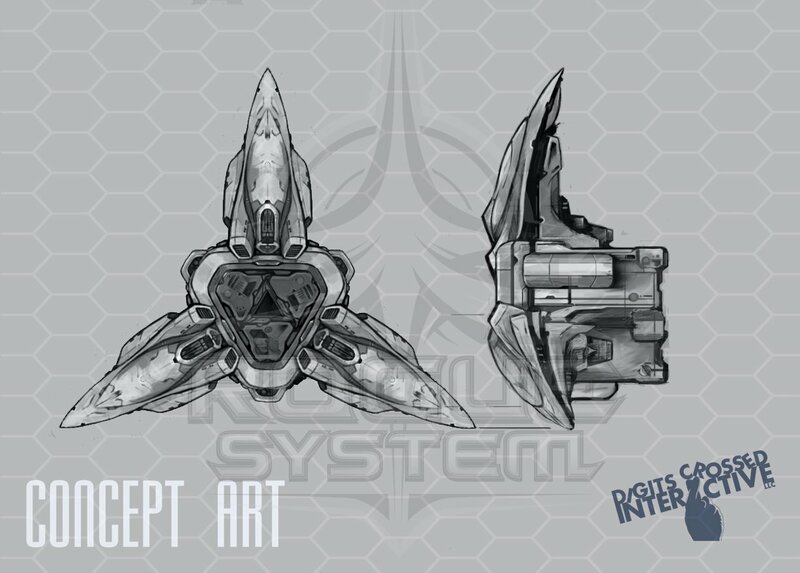 Multiple Roles: Fly as either an inteceptor or strike-fighter pilot. Both squadrons fly together each mission, performing unique tasks to achieve a common objective. 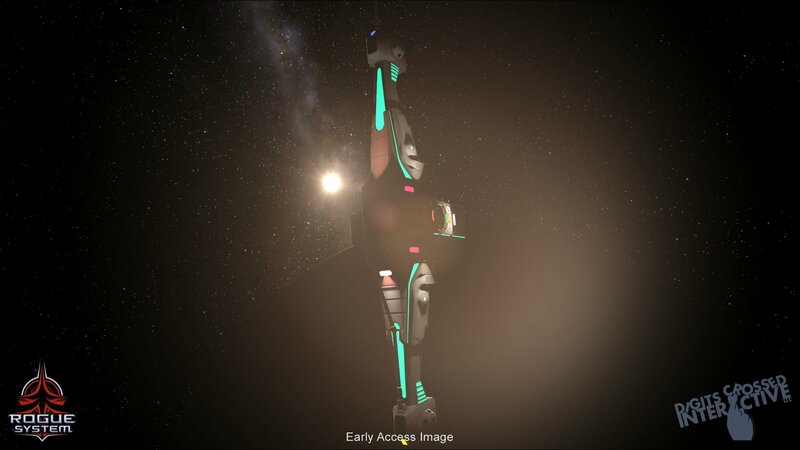 Study Sim-like Gameplay: Detailed simulation of ship systems, dependencies and damage. 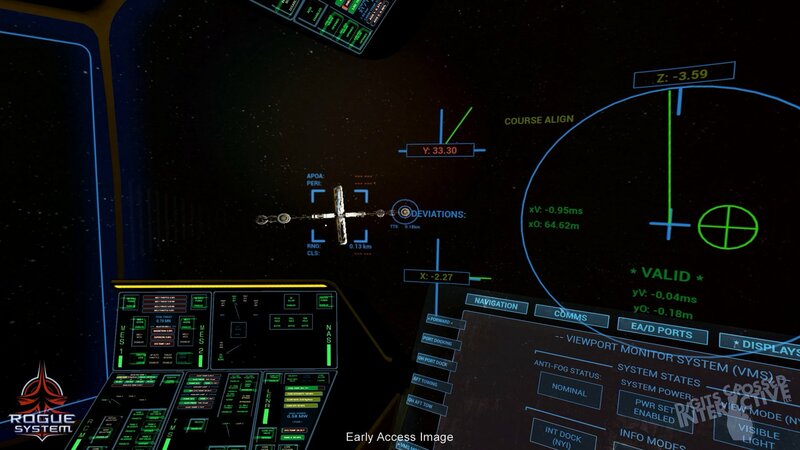 You’re in Command: Full control of your ship and its systems from pre-flight to post. Fly it Your Way: Your Ship’s Onboard Intelligence (SOI) can be optioned to take over low-level system functions for a lighter sim experience. 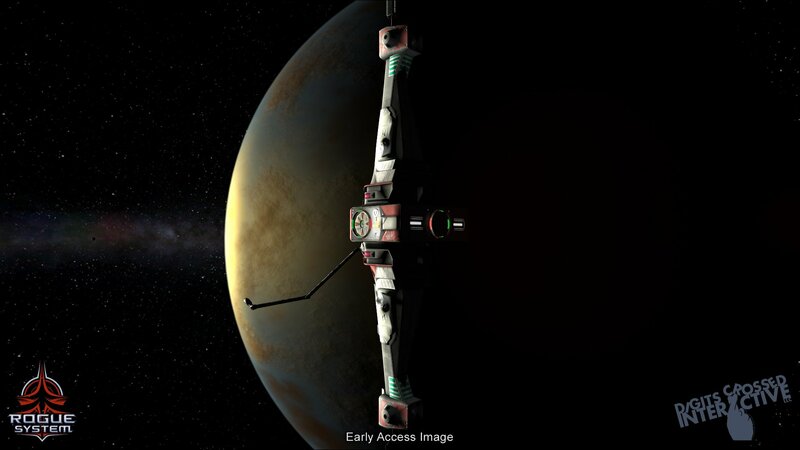 Between Mission Gameplay: Freely move within your Orbital Station in FPS mode. Various Periphial Support: Map any command to any key, or any button/axis of up to three game controller devices. 6 DOF TrackIR support. Planned Oculus Rift VR support. 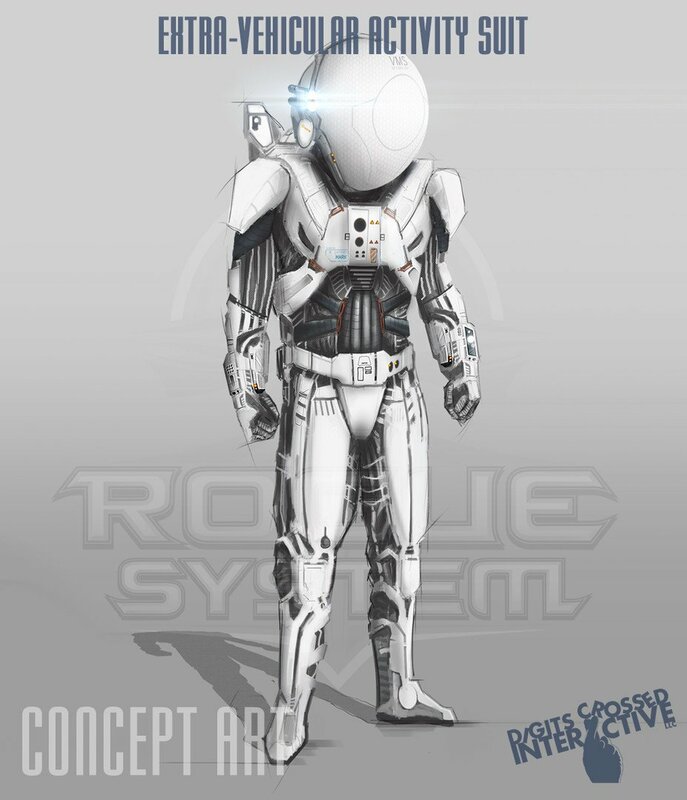 The Core Module for Rogue System will be a single-player, military experience. You will fly a campaign lasting several weeks. Each week you will fly a series of dynamically-generated missions that are comprised of both current military and civilian assets. You and your side’s performance during the course of the week will determine which scripted mission you fly at week’s end. This scripted mission will propel the overall story. At the end of the campaign you will fly a final mission worthy of your side’s performance. You will fly as either an interceptor or a strike-fighter pilot in one of two squadrons. Each mission, both squadrons fly together to achieve a major objective. During the mission, squadrons will be broken up into elements that each perfom different tasks in support of the mission. Timings will be critical-if an element isn’t where it’s supposed to be during each phase of the mission the entire package may suffer. 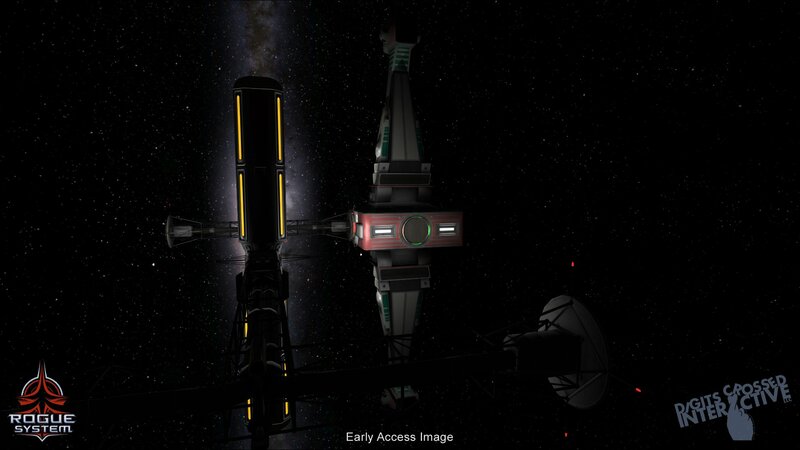 Finally, in between missions you will be free to move about, in FPS mode, within the Orbital Station where you are based. 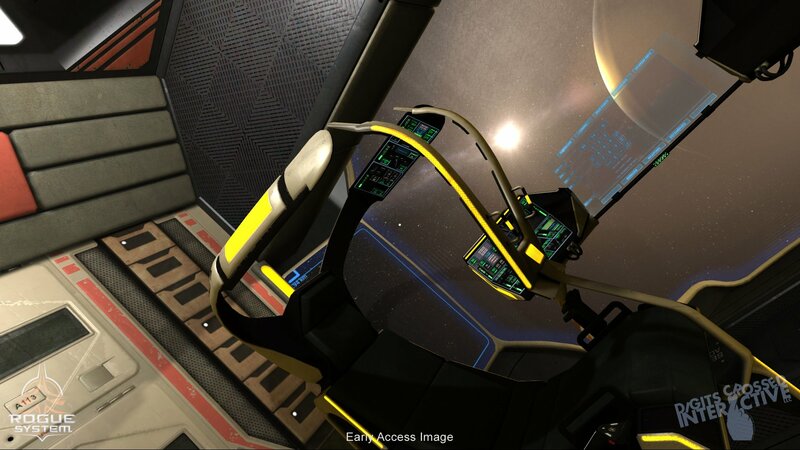 You’ll receive mission briefings and debriefings, visit various locations, and interact with your fellow pilots. 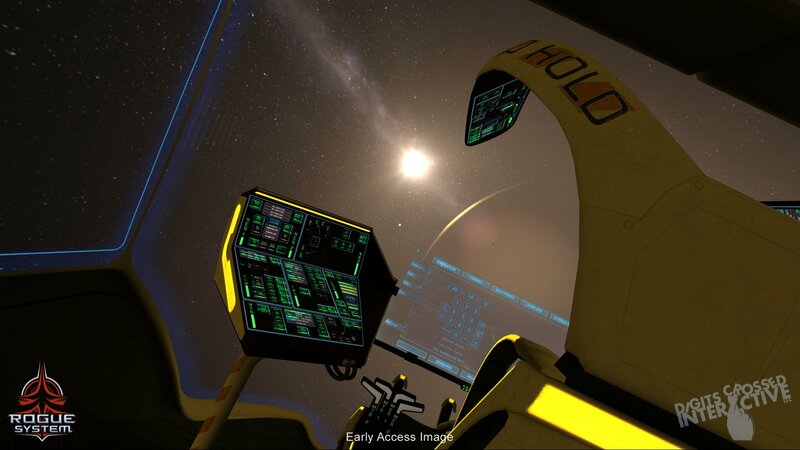 The Ship’s Onboard Intelligence (SOI) is effectively your co-pilot. The SOI will be there to help you throughout the entire flight. While some of its functions are always active, such as monitoring systems for damage, other activities are at your discretion. Some of the things you can let the SOI do for you are pre-configure the system switches for faster starts, or allow it to start the ship completely on its own. If you like, it can also attempt to handle system damage, leaving you to focus on the flying. With the SOI you’re never alone out there. However, if you allow the SOI to receive damage, it’s up to you to get the ship, and yourself, back in one piece. Ships are comprised of many systems and the subsystems that feed them. If you don’t allow the SOI to assist you, you’ll need to know how to interact with these subsystems, especially when they are damaged. Systems suffer many different types of damage, each affecting performance in various ways. There can be cooling leaks that cause overheating, electrical faults that cause intermittent operation, and mechanic faults that can reduce outputs, to name a few. Also remember that systems are interdependent. If one system is damaged it will most likely affect the performance of one or more of the others. 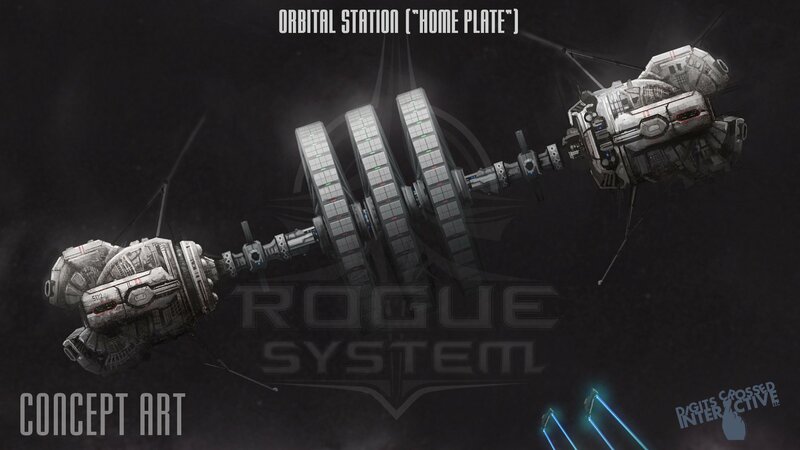 Early on, out of desperation, the Orbital Station’s interceptor group you fly for will need to form a strike squadron; and you’ll be asked to volunteer. While your tasks and the ships you pilot will be different depending on which squadron you pick, both squadrons will fly together each mission to complete a common goal. If you’re not where you’re supposed to be, or fail to complete your task, the entire “package” suffers. 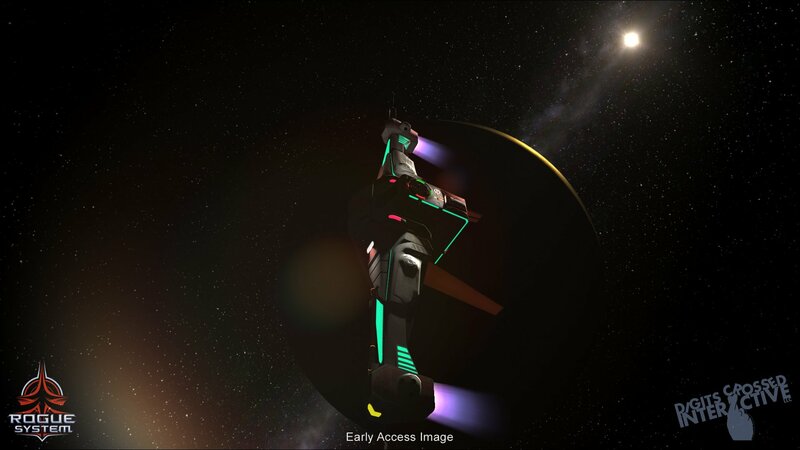 The AI have to fly just as you do, by using control inputs; and some are better than others at doing this. They are effected by the same factors as your pilot. For them though, these factors affect their piloting skills. 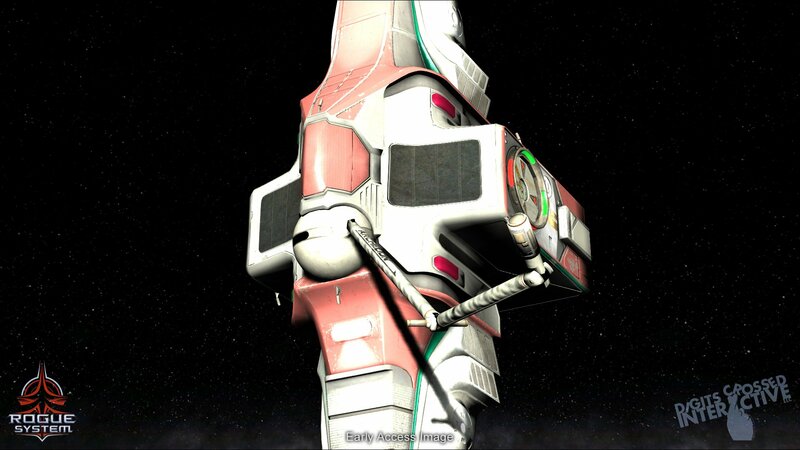 The current condition of both the ship and the pilot within determine how well they fly at any given moment; and how willing they are to stay and fight. They also have a memory. They know who and what they’re fighting and change their behavior accordingly. By evaluating each offensive and defensive maneuver they perform, they eventually will find a combination that’s effective for the current target. They also remember past performances of major characters, such as you, as well. Fight bravely one mission and you may find the same enemy pilot will spare your life later if the odds are against you. Others won’t care and will kill you if they get the chance.